Save energy and operating costs too, just by covering your pool. Earn dividends on your investment in an automatic pool cover. Your pool cover will pay you dividends, reducing your chemical and energy costs while increasing pool safety. Reduce the amount of water you have to add due to evaporative losses. Using a cover as recommended in the season from May 1 through September 30 in the Chicago area. In addition to energy savings from covering the pool, you will also have potential savings in make-up water and chemicals otherwise lost due to evaporation. 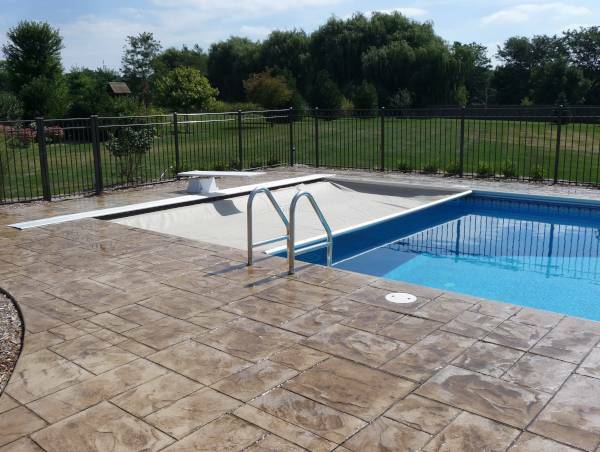 Call Swim Shack today at (630) 466-4853 to learn more about an automatic cover for your pool.